I have been lucky that my children enjoy eating fruits and vegetables but I am still always looking for creative ways to get the recommended 9-13 servings into our daily intake. Amway’s Nutrilite® Fruits & Vegetables 2GO is a delicious way to quickly drink 2 full servings of fruits and vegetables. I was very impressed that Nutrilite® Fruits & Vegetables 2GO is made only from organic fruits and vegetables grown on Amway’s organic farms. It does not contain any artificial, colors, flavors or preservatives so I can feel good about serving it to my entire family. This product has 100% of the recommended daily amount of Vitamin C from delicious Acerola Cherries as well as Vitamin A. It is very easy to serve Nutrilite® Fruits & Vegetables 2GO. Simply open the twist tube and add it to 16.9 ounces of water, stir and drink. 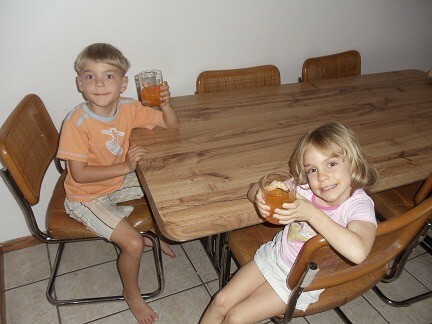 My children and our entire family love the fresh juice taste that includes a blend of pomegranate, cranberry, blueberry, carrot and red beet juice. I keep these in my purse for a healthier drink option on the go and I also toss one into my husband’s lunch bucket for him to enjoy at work since it is a great way to get in extra antioxidants. 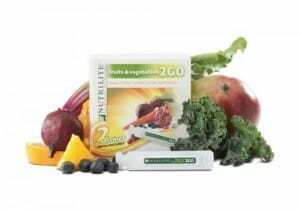 Each box of Nutrilite® Fruits & Vegetables 2GO contains 20 twist tubes and overall I am really impressed with this product. It is a perfect way to “sneak” extra fruits and vegetables into your family’s diet and it is a hit with my children so I feel confident that most children would enjoy this too. You are invited to visit the Nutrilite® website to learn more about Fruits & Vegetables 2GO and the entire line of high quality products from Amway. I would be interested in trying the Triple Guard Echinacea. I love the daily vitamins, children’s vitamins and the mango fruits and veggies twist tubes! What a way to start my morning! I just loveeeeeeee it…its so easy…tasty..nutritious….all natural…all of my friends love it..
i am very happy that we have a wonderful product like this…thanks Amwayy..u r the best..
Amway always has such great products for health, nutrition, energy, weight loss, etc. My family, friends, and I love all of the products. We have been using these products for years. Keep up the great work Amway Global, 50 years and going strong! Thank you Simply Stacie for your giveaway contest as well! I would like to try the NUTRILITE™ Carb Blocker 2. I’d like to give the Children’s Multivitamin/Multimineral a try! I’d like to try the bio c plus. Thanks for the giveaway. I would like to try the fruit and vegetable fiber. Thanks for the giveaway! I would love to try the Triple Guard Echinacea. i would love the NUTRILITE™ Natural B Complex. I would like to try the Mango Fruits and Veggies Twist Tubes! I’d like to try the NUTRILITE™ Carb Blocker 2, Carb Blocker, Calorie Just, Calow, CB Plus. Anything helps! I would like to try the glucosamine. I would love to try the Coenzyme Q10 Complex. Thanks for the giveaway…we would like to try the DOUBLE X / TRIPLE X Multivitamin/Multimineral Supplements. Should I take 3 tablets of NUTRILITE® Triple Guard Echinacea all together or is there any time gap for taking those 3 tablets?